It's no secret, e-Commerce is growing every year. The days of solely using a desktop computer to research, compare and purchase goods/services are long gone. During these modern times, consumers have evolved in their ways of attaining desired commodities, much thanks to the vast array of web enabled mobile devices on the market. With much of the population now owning or having access to iPads, smart phones and tablets,consumer online shopping has shifted to an anytime, anywhere purchasing experience.This change in consumer practice means retailers need to step up their game in order to meet consumer needs and demands. Advertising platforms offered through social media are ever changing for the better, providing greater sophisticated means of delivering targeted ads and seductive product discovery.Merchants can profit greatly from these social commerce technology advancements. In August 2014, e-Commerce made the history books, as mobile surpassed desktop for consumer performance. With retail habits changing and industry steadily growing, now is the perfect time for merchants to invest in fine tuning their brand,ahead of their competitors. The mobile experience can prove frustrating for the consumer if there are technical issues such as a site that is not optimized for mobile viewing, complicated checkout processes, poor navigation, slow load times etc.Retailers who strive to offer a high level shopping experience for their customers will attract repeat consumers, boost profits and an establish reputability in the industry. 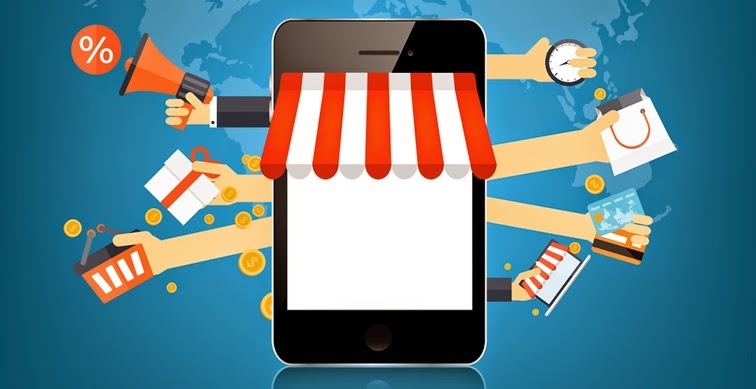 Mobile and e-Commerce in 2015 offers a big window of opportunity for retailers who take note of upcoming consumer trends and adjust their IT strategies to ensure the best possible mobile consumer experience for its customers. Businesses who adapt to changing consumer preferences will remain relevant, while others will sadly be left behind in the dust.